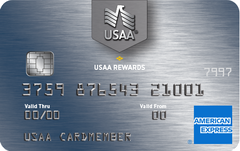 One of the original travel rewards credit cards, the American Express Green card currently isn’t up to par on its rewards and benefits. Cardholders seeking to earn Asia Miles are probably better off skipping the Asia Pacific Visa Signature card and sticking with a general rewards card that allows point transfer to the Asia Miles program. Navy Federal Credit Union’s Flagship Rewards card offers triple points for travel purchases and twice the points for every other purchase, making it an ideal pick for cardholders who want to rack up points without a lot of effort.